Hey Guy’s, looking for the best rice cooker for your kitchen? 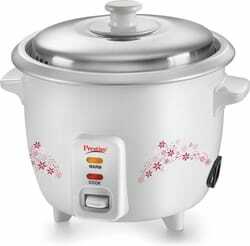 Want to know which are best rice cookers and brands in India and how to choose rice cooker? Here I will show you everything about the rice cooker. Awesome Let’s start. What Is a Rice Cooker and how it works? A Rice cooker is a small electric appliance. That has an inner pan(non-stick) and an external vessel which hold the pot. The heating plate fits in the bottom of the outer container. There is an electric cord from where you can start it. A rice filled in the inner pan with water. Water should be in marked line. water getting starts heating from heating plate. rice cooked via the circulating steam inside of the pan. Also, It will automatically shut down when it reaches the certain level of temperature. There is a function of keeping warm. so if you want to boil anything it is a really helpful machine. Rice cooler allows us to cook rice easily without any type of hassle. you don’t worry about taking care of switch off like other cookers. You not just can boil rice only. there are many things you can boil with electric rice cookers like fish, rice, momos, soup, dhokla and much more. It’s cost-effective. you can save your gas bill. they use lower electricity. It will warm your food 5 to 6 hours. Also, you can take it away with your self while travelling. Below Things, you can consider before choose electric rice cooker? There are three types of inner pot material available non-stick, stainless steel, Aluminium. You can choose according to your need or can go with non-stick. Size matters. You must have to check size of the cooker with number of your family member. Check essential features of the cooker. fully automatics, advance settings for other meals, automatic keep-warm. 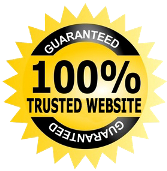 Go with good warranty and brands. Here we list down latest/Best Electric Rice Cooker in India according to your need. These things add the star in your kitchen. The masterpiece of this cooker is to perform multiple functions. The Borosil rice cooker keeps your rice warm and fresh up to 12 hours. It has 650-watt power with 1.8-litre capacity and its steam container made of plastic material. 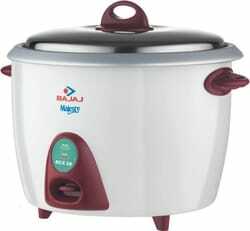 This makes it one of the best rice cooker in India. Its inner pro is nonstick with safely wash. Led display with digital control. Easy and healthy cook food. It keeps food warm long time after cooking. It has a warranty of 1 years. It steams a variety of vegetables like fish, rice, momos, soup, dhokla and much more. It has unique features that make it easy and comfortable to use. Its use stainless steel material in lid and idly maker try. Total pan capacity is 4.4 litre and cup capacity is 1.4 cups. It comes with 2 anodized cooking aluminium pan that helps to cook two dishes at a time and also use it as a serving pan. The upper container of the cooker is transparent that need to watch cook food perfectly or not. Moreover, you can easily clean and maintain this rice cooker. Automatic rice cooking and keeps warm 5 hrs. Compact design cover little bit area. Does not have a nonstick cooking bowl. Steaming basket and spatula come with this kit. A large size 2.8 L electric cooker makes your food in a large quantity at a less time. The white colour of this cooker is looking classy, attractive and match with all type of kitchen decor. With this rice cooker, you can easily prepare soup, pulao, biryani, lemon rice, steam vegetables in a convenient and hassle-free way. It delivers 1000 watt power capacity and with its auto shut off feature. It has a stainless steel lid. Good quality of the material. Power Requirement – 220 to 240. Doesn’t comes with an additional cooking bowl. 2 years of the product warranty. It is Amazon best seller product. This is perfect for cooking rice and various delicacies food for the entire family. Its price range is quite low so, affordable to all. 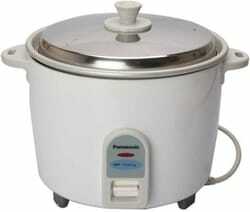 It allows you to make a perfect rice very speedily without any hassle. According to the safety features, it is having cool touch handle so, make this feature is best to compare to others cookers. Minimum 15 min cook time. It has an auto keep warm function. Detachable power cord for easy carry. Give 5-year warranty on the heating plate. 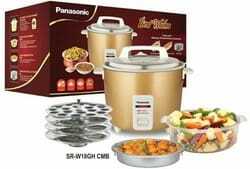 The again best rice cooker is Panasonic in India. It comes with 1-litre capacity and auto shut on/of the switch for safety. It has an aluminium cooking pan and its total capacity is 2. 7 litre. This rice cooker requires a minimum 230 V power. According to the essential features, it has an indignation system that automatically indicates when rice is cooked perfectly. Price range is too low. Keep food warm after auto switch off. Cook food effectively without any supervision. It comes with 2 years on the warranty.